Start making your plans to join NAMA in Milwaukee this September for Fall Conference 2017! The hotel cutoff date for Fall Conference is earlier than in past years. If you are planning to join NAMA in Milwaukee this September, please reserve your room at the Hilton soon. August 27 is the cutoff date for the hotel — that’s in 11 days! Find all the information on the Fall Conference website. We hope to see you in Milwaukee! Join the Badger NAMA Chapter as they host the 2017 Fall Conference Ag Tour. Get a unique perspective on some of the most enterprising ag operations in the great state of Wisconsin. The cost for this tour is $75 and includes breakfast and lunch. See below for a full schedule of the day’s activities. 7:30 a.m.: Depart the hotel. Confections for Any Occasion | Chocolate is a specialty for this blind entrepreneur, Joel Bernhard. All of his delectable chocolates are made with real Wisconsin butter and his company proudly participates in Something Special from Wisconsin, Travel Wisconsin and Discover Dodge County. In addition to gourmet chocolates, the store features a variety of other Wisconsin-made products, including sausages, mustards, maple syrup, cheese spreads and honey. We’ll tour the store, learn a little bit about chocolate making and, of course, do some shopping. Widmer’s Cheese Cellars | This cheese plant has been home to three generations of Widmer cheesemakers. Joe Widmer, current owner and master cheesemaker, still makes Brick cheese the old-fashioned way by using bricks to gently squeeze the whey from the curd. Widmer has won many awards for his handcrafted cheeses. We will learn about the company’s history, watch cheesemaking in action and sample cheese. Vir-Clar Farms | Katie (Boyke) and Grant Grinstead and JR Boyke are the third generation on this family farm and currently manage it with their parents, Gary and Rose Boyke. The family has 2,000 cows and farms 2,800 acres of land. Methane digesters produce enough renewable electric power for approximately 800 homes. Cows are milked three times a day in a double-30 parlor. All the calves are raised on the farm and the family counts on 32 full-time employees to help Vir-Clar run smoothly. Katie will lead us on a tour of the entire farm and explain how this modern dairy farm gives animals the best care possible to produce wholesome, nutritious milk. En route to Milwaukee: Beer and Cheese Pairing | We’ll match three Wisconsin craft beers with specialty cheeses, explaining how the flavors complement each other. Participants will get a taste of so many award-winning products crafted in Wisconsin. Miller Brewing Company | Miller Brewing Company has been brewing “confoundly good beers” for 160 years. This tour begins at the Visitor Center and includes a four-block walk, allowing for an inside look at the brew house. Learn how Miller-Coors products are made, packaged and distributed worldwide. We’ll conclude the tour with product sampling and sodas. 3:45 p.m.: Arrive back at the hotel. Attendees brought an obvious enthusiasm for all things agriculture to the 2017 NAMA Boot Camp. Agri-marketing newcomers and industry veterans alike grew knowledge and friendships at the two-day conference. Many attendees came early to Kansas City for the Ag Tour, sponsored by the MoKan Chapter of NAMA. The day did not disappoint. The group explored agricultural operations at a 15,000-acre corn and soy operation, and then sampled delicious and unique flavors of milk at a regional treasure, the Shatto Milk Company. The cotton candy milk in particular reminded attendees of a bowl of Lucky Charms. The fun continued with a wine sampling and tour of Missouri’s first green vineyard and winery, Jowler Creek Vineyard & Winery. Attendees learned how Jason and Colleen Gerke develop their business through strategic marketing and creative events. Jason and Colleen then introduced the group to the sheep and chickens that control weeds and insects at the 6-acre sustainable vineyard. On Wednesday, Gail Calhoun kicked off the conference with a dynamic presentation centered on identifying communication styles and preferences, and how to work more cohesively with team members. The conversation continued with a NAMA Boot Camp favorite, the Producer Panel. Farmers discussed what influences their purchasing decisions, the obstacles they face in the field and how agri-marketers can best partner with them through strategic use of emerging channels. Breakout sessions rounded out the remainder of the day. Attendees explored “A Year in the Life of a Producer,” presented by Illinois farmer Chad Bell, and listened to “Lessons Learned from a Career in Crisis Management,” presented by David Mehlhaff. The conference kept rolling with a session on Farm Economics and the Commodities, presented by Arlan Suderman, which investigated global macro-economic factors influencing corn, soybeans and wheat. The other session focused on unlocking “The Secrets of a Strong Client-Agency Relationship.” Later, Amy Bugg shared several entertaining anecdotes from her work in both the client and agency worlds. The first day of the conference ended at Brick House in the Martini Corner. Attendees sampled top-notch KC fare and cocktails, while enjoying networking and laughs with fellow agri-marketers from across the country. The final day of Boot Camp began with a conversation on the importance of farm radio for the agriculture industry and then continued with an interactive session with Diane Martin, Amy Bradford and Matt Coniglio. The panelists gave their favorite tips on how to build a successful career in agribusiness. A crowd favorite among attendees was the closing session, presented by Paul Spooner of the United States Farmers and Ranchers Alliance (USFRA), on what’s to come in American agriculture. Armed with videos, data, tips and trends in the industry, Paul explained how animal welfare concerns are high on consumers’ list of priorities, and there is currently a major gap in tying sustainability to GMOs. Spooner concluded his presentation by urging farmers and agri-marketers alike to turn the ongoing food wars into a conversation led by farmers and ranchers, and to use personal stories and photos on blogs and social media to go about this urgent work. Sara Steever, a member of the 2017 NAMA Boot Camp Steering Committee, was pleased with the caliber of the event’s presenters and attendees alike. Are you attending the Farm Progress Show in Decatur, IL? If so, join other NAMA members at a reception hosted by the Chicago, Gateway, Heartland and Mid-America NAMA chapters. It’s a great opportunity to take a break and interact with other NAMA members on Wednesday, August 30, 2017, from 3:30 to 5:30 p.m. in the Exhibitor Food Tent, located near Gate 6 on the corner of East and Sixth. Appetizers and drinks will be provided (yes, adult beverages, too). If you have any questions, please contact Wendy Feik Pinkerton at wendy.pinkerton@zoetis.com or at 217.255.2548. For more information on the Farm Progress Show, visit farmprogressshow.com. Tina Charpentier and Megan Fairchild Anderson, Padilla, will provide an overview of implications and insights into the ever-evolving communications landscape — moving past the era of “content is king” and into deeper connection strategies. The presentation will include a discussion of where these changes are happening, who is driving them, and the role of communications pros. Join your fellow agri-marketing professionals from the Gateway NAMA Chapter on Tuesday, August 22 to see the Cardinals take on the San Diego Padres at 7:15 PM. Tickets are just $20 and include your field box seat as well as drinks and food prior to the game at a location TBD near the ballpark. Tickets will be handed out at happy hour. If you can’t make it to happy hour or have questions, please contact Colin Pennington, Colin.J.Pennington@Monsanto.com. NAMA is proud to announce the Closing Session at the upcoming Fall Conference will feature Jessie Corning, Senior Marketing Manager, Culver’s, as the keynote speaker. 2017 marks Culver’s fifth year of the ‘Thank You Farmers’ cause marketing initiative, which benefits national and local FFA programs and other agricultural organizations. It is designed to thank the farm families who are responsible for Culver’s success today and provide financial support for young people looking for a career in agriculture. Jessie Corning is a Senior Marketing Manager for Culver Franchising System, Inc. (CFSI), the franchisor for over 620 Culver’s Frozen Custard & ButterBurgers restaurants. Jessie joined Culver’s in 2011. 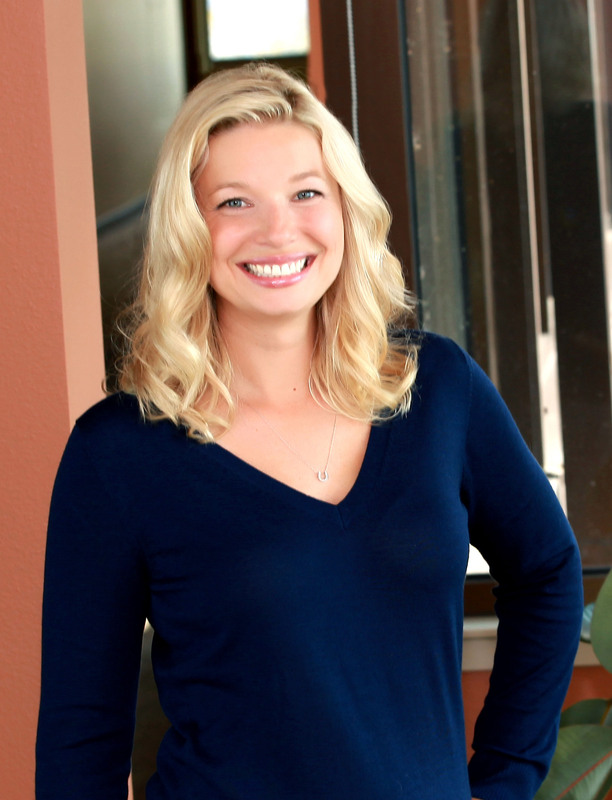 Her areas of experience range from website best practices, digital promotions, social media, and local restaurant marketing. Jessie is responsible for the seamless digital experience for Culver’s guests that matches the highly-lauded offline hospitality. Specifically, the website, mobile app, text program, and email program, are each components that Jessie manages. She also leads the ‘Thank You Farmers’ cause marketing initiative and works with the National FFA Foundation as well as local ag organizations and Culver’s restaurants on fundraising for Ag Education. 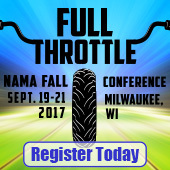 Mark your calendars and register today to go Full Throttle with NAMA. Find out even more on the Fall Conference website. We hope to see you in Milwaukee! Brian Carter is one of the fantastic keynote speakers that NAMA has lined up for Fall Conference this year. He will be presenting the first Keynote Session as well as the Pre-Conference Workshop on September 20. Get a first look at his presentations in this promo video. We hope to see you all in Milwaukee! 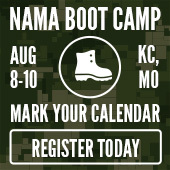 We are just one week away from the 14th Annual NAMA Boot Camp, but don’t worry, it’s not too late to register! The 2017 Boot Camp will take place August 8-10 in Kansas City at the Sheraton Crown Center. This event is filled with great opportunities whether you are just starting out in the working world or if you’ve been through Boot Camp many times before. If this is your first time in the agriculture business then you are in luck; you will get a beginner’s course about the business including a notebook packed with agricultural terminology, facts and case studies. If you are a more seasoned veteran, you can choose from a variety of different breakout sessions and pick the one that interests you most. Aside from the great speakers lined up for you this year, we also have some fun scheduled into the program. The first night of Boot Camp there will be a networking reception where you’ll have the opportunity to meet a wide variety of people. In today’s working world, meeting the right people can make a huge difference in growing your career – you never know who you could meet! The next night we will have an off-site reception at Brick House in the Martini Corner. Enjoy a beer or cocktail while networking with your peers. Find a complete schedule of this year’s activities on the Boot Camp website. And be sure to sign up today so you don’t miss out on these amazing opportunities. Register online or call the NAMA office at (913) 491-6500. Join us for the MoKan NAMA Ag Tour on Tuesday, August 8! The MoKan NAMA Ag Tour is a one-day, on-farm experience where attendees will tour and learn about different nuances of agricultural operations in the surrounding area. Our first stop will be a 15,000-acre corn/soy operation to learn about new technologies going into today’s agronomy, equipment and farm management. Next, we will visit Shatto Milk Company and dairy for a full tour and lunch. We’ll finish at Jowler Creek Vineyard & Winery for a look (and taste) of their local grapes and how they market their business.